The Expert Team at Elements Home Design Center makes our clients home remodel experience easier than the going it alone. Eliminating wasted time, frustration and money! We are educated and experienced in construction, drafting, designing functional floor plans, Kitchen design, interior design, decks, remodeling requirements & product specifications. We Design to the needs, wants and budgets of our clients. Great Design is part art, science and psychology. We bring the whole project together with careful considerations. We are there to recommend and supply the right products for the right project. Elements offers the many elements needed to complete a room or the whole house; custom cabinetry, quality wood furniture, premium tile, beautiful lighting, window blinds, wood flooring, carpeting, sinks, faucets, shower bars, toilets, showers, bath tubs, mantels, shelving, wall coverings, knobs, furniture finishing services & more! “All clients that are planning on remodeling their home should see an expert for a grand plan before any demolitions or temporary improvements. A plan should include the “Priority #1" to the “do later” adjacent spaces, so that money will not be wasted on needless materials”. 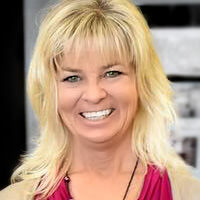 Suzie Shore Cox has a previous 20 year career in Advertising and Marketing. She has always had a good eye and passion for Color, Interior and Furniture Design. Her dream was to have a career in Design. She returned to College and earned Associate in Arts degrees in Business, Marketing and Interior Design. Suzie and her husband Grover opened their first furniture business in 2001; Beach House Unfinished Furniture and Design with 2 locations in Grover Beach and San Luis Obispo. They enjoyed the success of business and the 3,000 customers that they served until 2008 when the recession hit and sales stopped. They closed the stores and Suzie focused on her Interior design business, Space Solutions by Suzie Shore. In 2011 Suzie won a Furniture Design contest which launched her “Designer Furniture Line”. In 2012 Grover and Suzie opened a showroom featuring Suzie Shore Interior Design, Space Solutions Furniture and Beach House Wood Furniture and Cabinetry in Arroyo Grande. Customers returned wanting help with remodeling. Now Suzie designs and manages the production of furniture, kitchens, bathrooms, media wall units, wall beds, barn door and more. Shanon has an eye for good design as well as an education. Her calm demeanor makes her a pleasure to work with. She can create and stay focused in a busy design/build environment. Not easy to do for most. Shanon attended Brooks Institute of Interior Design in Long Beach, California. Her focus was on set design for the movie and TV studios. She is a Certified Faux and Furniture Finisher from Faux Masters in San Diego. Shanon has a business named, PB&J’sDesign and Decor. She designs window displays for businesses. She paints, stains and faux finishes furniture. Shanon has been the furniture finisher for Elements and Beach House for 16 years. Customers are always happy with her work! Married to a wonderful man, they have a son and a daughter. All are creatively talented! Shanon is also Suzie’s Daughter. And her favorite human.